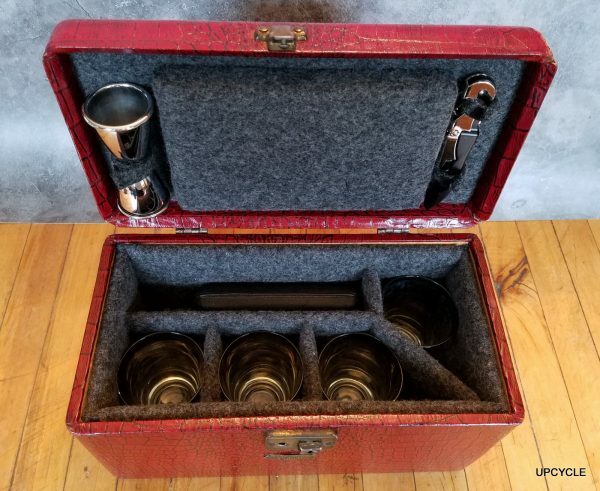 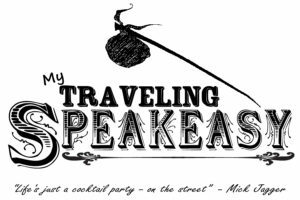 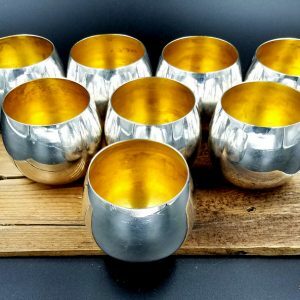 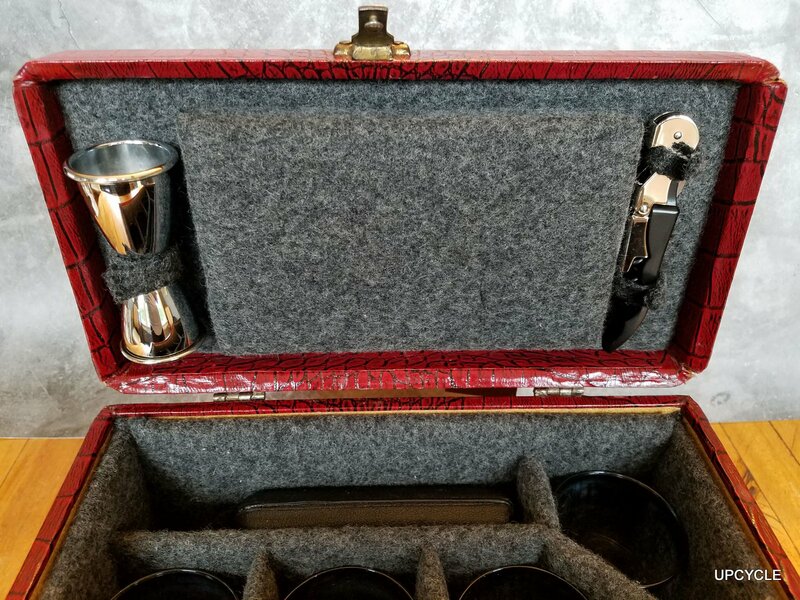 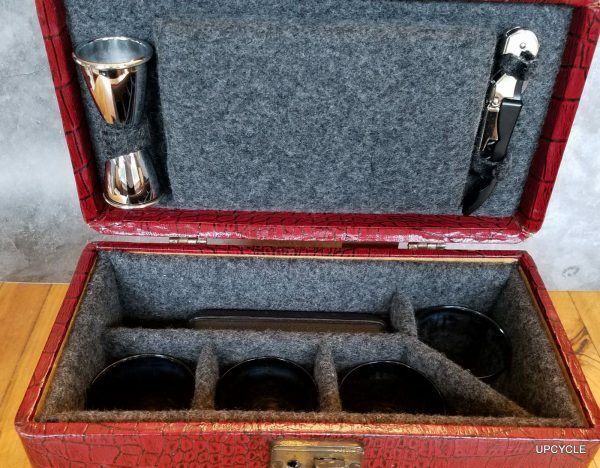 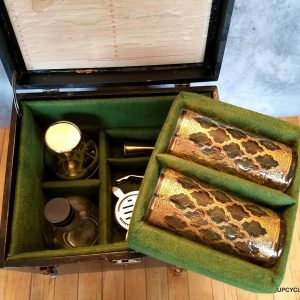 The Wally, hand constructed in a vintage faux-alligator train case, incorporates a set of 4 of vintage Dorothy Thorpe Dry Brush platinum rimmed mini-rocks glasses with everything you need for a traveling tail-gator – except the spirits, of course! 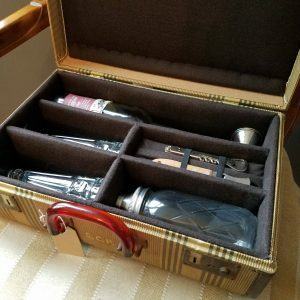 A beautiful antique glass and leather covered flask, chrome jigger & a professional double-hinged wine & bottle opener complete this set, making it ready for mixing. 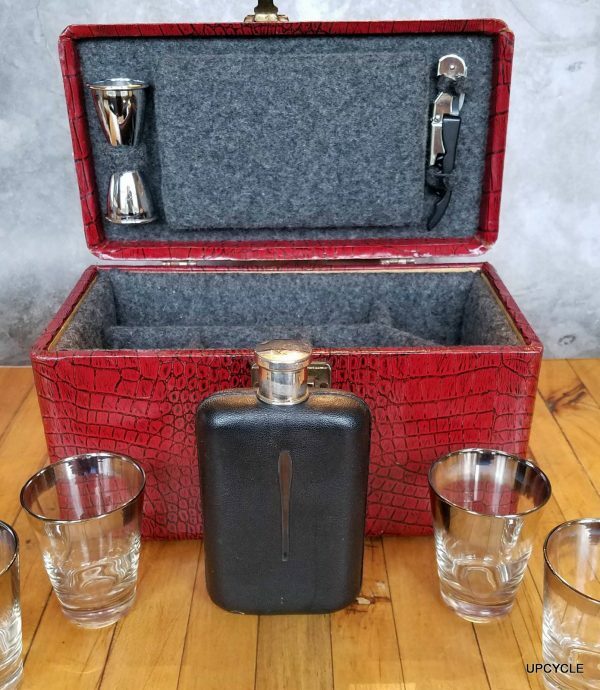 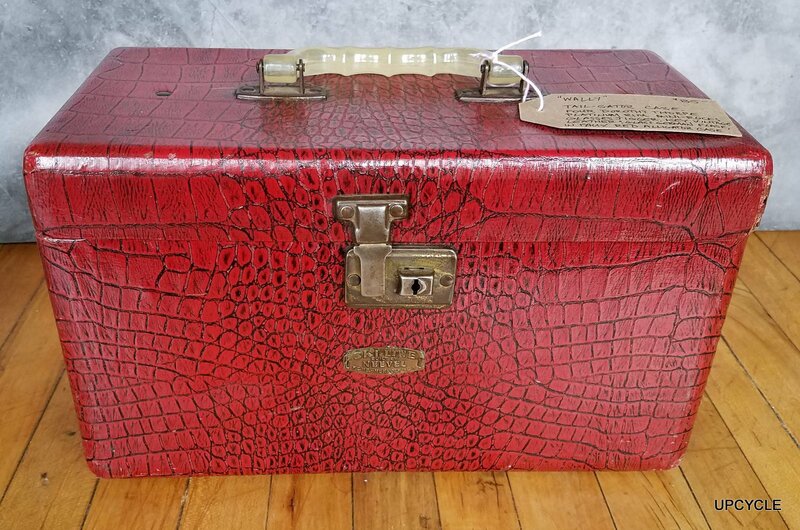 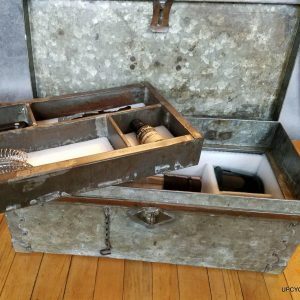 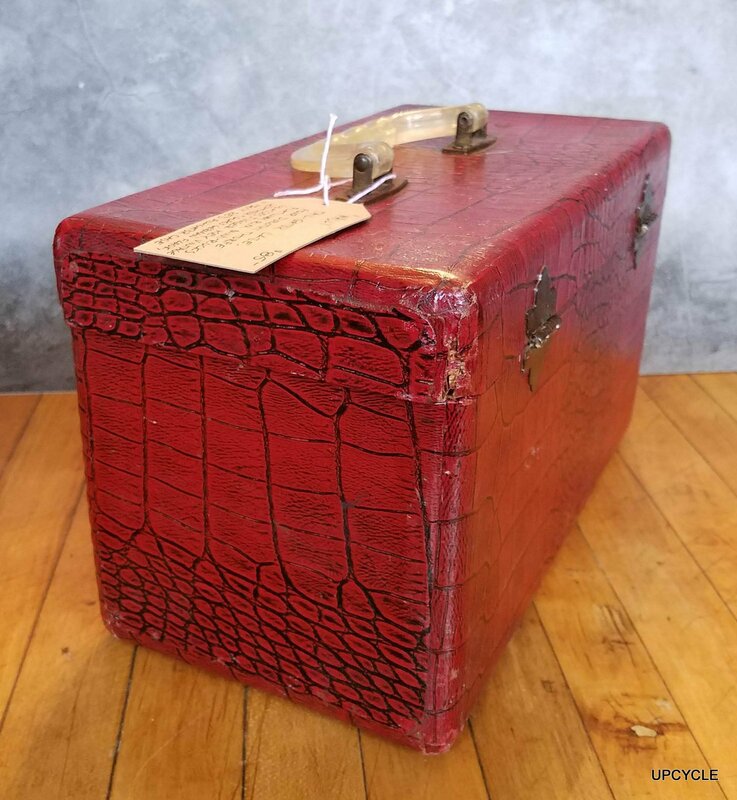 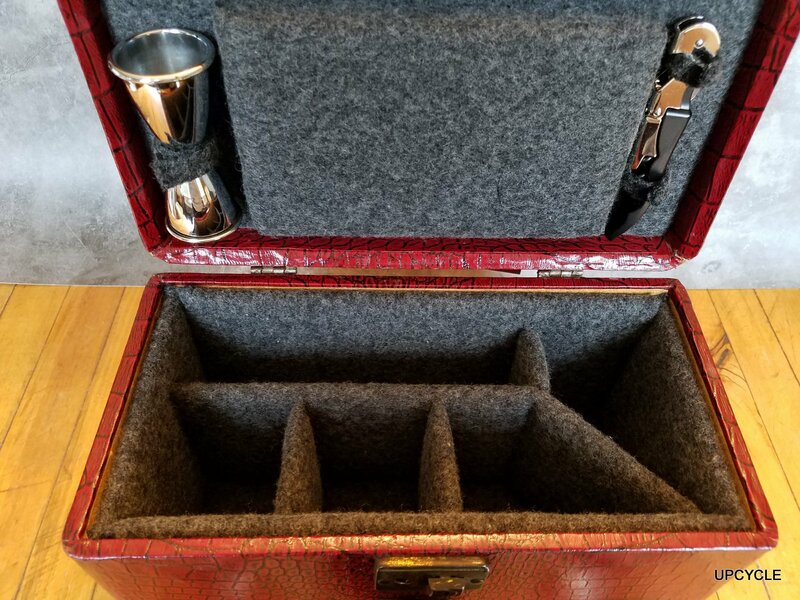 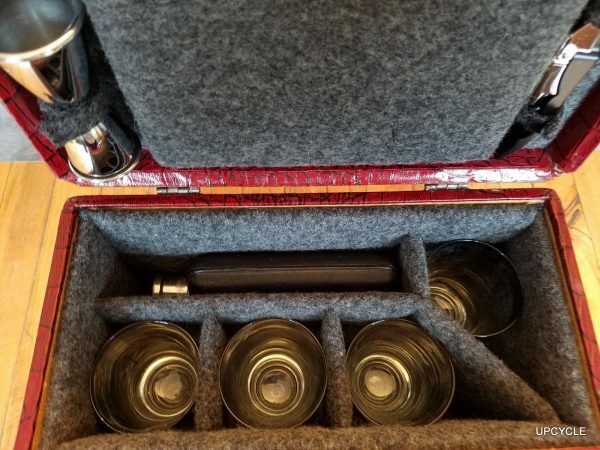 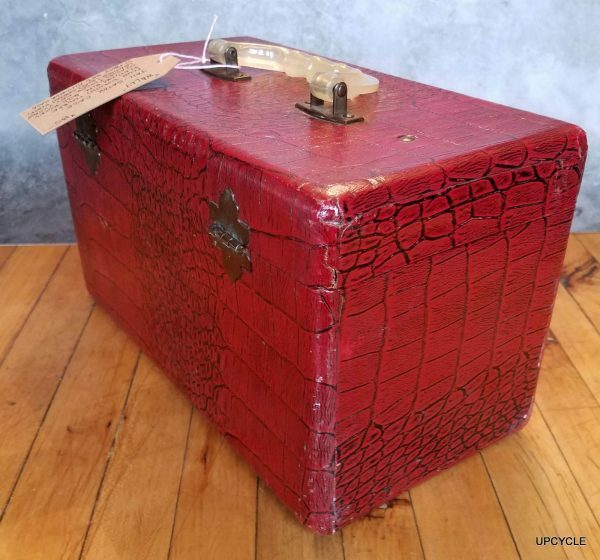 This completely refurbished vintage train case has a deep gray wool blend felt upholstered interior, has an original suitcase clip lock to keep it securely closed, and the original Lucite handle gives it a bit of flair.